#TSNews – #Update Sept.06: Trains have returned to the Scottish Borders after 46 years with the opening of the longest new domestic railway built in Britain for over a century. The new Borders Railway runs between Tweedbank and Edinburgh and was built at a cost of £294m. 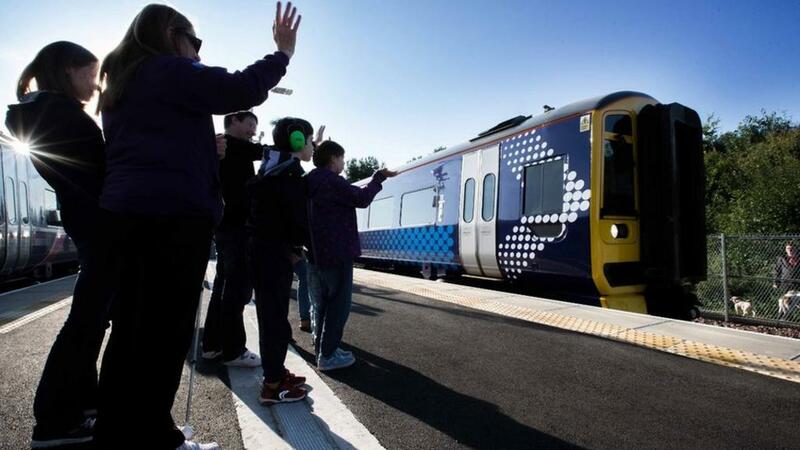 Hundreds of people queued up at Tweedbank station on Sunday morning to be the first passengers on board. Some arrived at 05:00 to secure their place in the line, and had travelled from as far south as Kent. The old Waverley Line through the region shut in 1969. Borders-to-Edinburgh railway opens as longest UK line in century Trains return to the Scottish Borders with the opening of the longest new domestic railway built in Britain for over a century. #TSNews – Sept.06: Jim Sillars, the SNP’s former deputy leader, discloses most of the independence campaign’s board wanted to put forward an alternative to Alex Salmond’s plan for currency union with the remainder of the UK. #TSNews:Sept.06: The new Borders Railway opens to the public today, bringing to an end a near 47-year wait for train services to return.